Marand Resort and Spa is located at Bauang, La Union offers a family fun center vacation. It is your home away from home, your relaxing getaway and private escape away from noise of the city. Every room is utterly spacious giving you everything you need for a perfect vacation, promising air conditioned bedrooms, hot and cold shower, balconies with relaxing pool and garden view and of course access to breath taking pools and beach. It varies to cater couples, barkada, big or small families and even corporate affairs. Celebrate your precious moments at their function halls which are fully equipped with amenities. An unforgettable experience and one of kind memory with your loved one, the best avenue will be Marand Resort and Spa. Want to escape the busy life? Visit us at Marand Resort and Spa where you can have pool and beach view. It is an eco-friendly resort that features swimming pools with slides and restaurant that serves mouth-watering dishes. 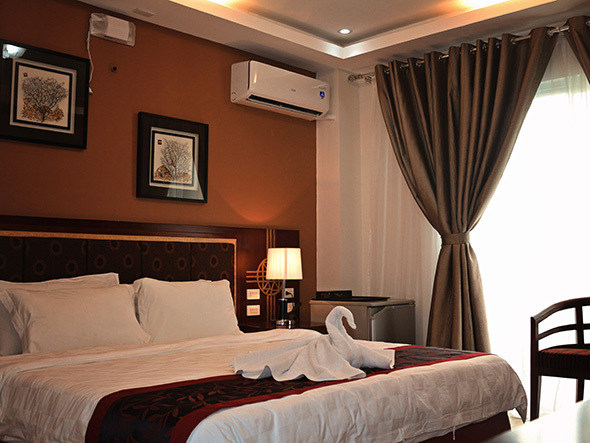 The resort has FREE WIFI access at all elegant deluxe rooms and selected public areas. MARAND was built by the two entrepreneurs namely Sir Andrew Locke and Ma’am Marijun Madayag Locke. MARAND was a product of their combined named and they have also named the function halls to their daughter ALLYSHA and son BRANDON. Initially, they wanted to build the business for them to help Bauang to reduce the unemployed. 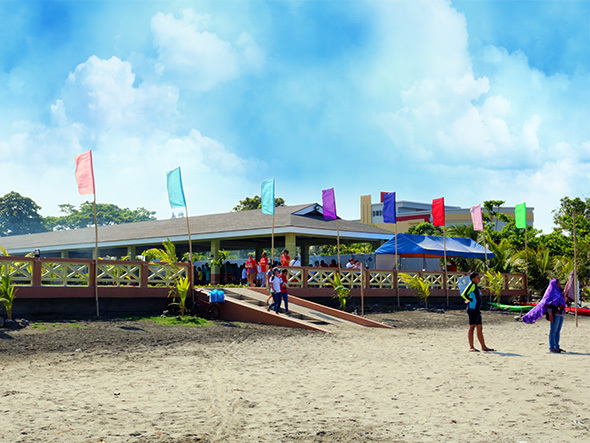 Being in the hotel industry for 8 years, they have expanded in to another Branch which is the Marand Resort and Spa (Bauang Beach Branch).It is the golden promise of MARAND to treat their guests and team mates the way they wanted to be treated to bea able to sustain guests and keep them coming back. It is 3 kilometers away from Bauang Town Proper going North left side of the National Highway. After Shell gas station, you can slow down and drop by just in front of Phoenix Gas Station. It is 7 kilometers going to San Fernando town proper. While the Marand Resort and Spa(Bauang Beach Branch) is 600meters away from the Marand Resort and Spa(Bauang Highway Branch) near PLDT office. The air-conditioned rooms open views of the garden or swimming pool. Each room is equipped with a LED flat screen TV. The private bathroom includes shower and free toiletries. Dine and Unwind at Alonzo’s Bar and Restaurant, take a bit of our specialties and a sip of popular concoctions. Relax and play billiards, darts and videoke from our Bar. Guests can visit the resort’s fitness and wellness center which features facilities such as spa, and gym. For relaxation, guests can enjoy the sunset by the beach and experience kayak and stand up paddle. Feel relieved with our Spa pampering ways by appointment. Experience the signature technique massage which will surely relax your body, mind and soul. Celebrate life’s moments the unique way. Affordable yet opulent, our venues are complimented with astute amenities, made ideal for conventions, private or grand. We commit professional service, superior cuisine and occasions you will enjoy and cherish.